Just before the Inauguration Brandi and I attended the launch party for SW Magazine. It was a great welcome back from Africa because we hung out with so many of our friends and industry associates. We hadn't seen some of them since October and November 2008. 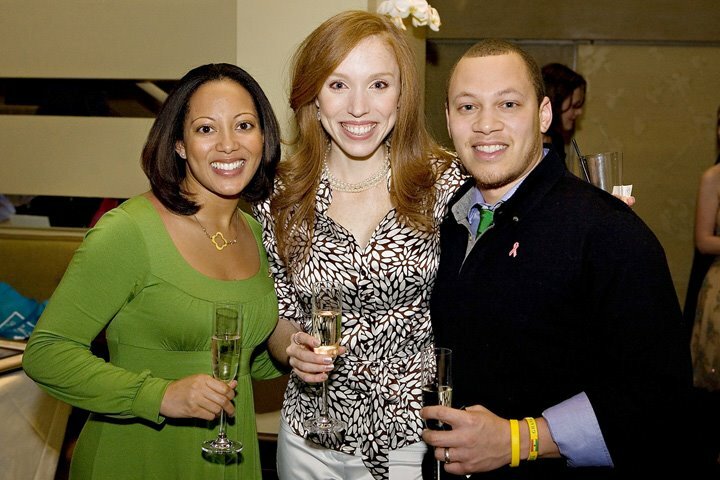 When Brandi and I first arrived we met Lara - Publisher of SW Magazine and Owner of Bliss Events. Lara and I get to tag-team on our first wedding together this summer in Destin, FL. With her close attention to detail and decoration I am sure shooting this wedding will be one of my favorites! Special note: I called Lara while I was in Florida this week because I needed to use an office to work on my grandmother's program. Lara is from Pensacola like me. She connected me with Rae Laythem who invited me to her photography studio to work. I really appreciate the two of them extending a helping hand. God blesses us all with friends. Whether for a season or for a lifetime, I am happy to have friends that care. Ross, I am so happy we have met and can't wait to work with you this year! I hope there are many many more in the future too! I have seen other pics from this party and it looked like everyone had a Blast! You guys look great! You no doubt met a lot of my colleagues who I correspond across the WWW. Man, I think I better move to the South. You guys seem to have all the FUN!! Wow, she resembles Lynn Whitfield! You are more than welcome to come visit us ANYTIME! I thoroughly enjoyed chatting with you. Hey there! Who knew I'd travel to Atlanta and meet someone from Richmond? It was such a pleasure meeting you and Brandy on Sunday. Definitely looking forward to connecting with you two again the next time I'm in town!